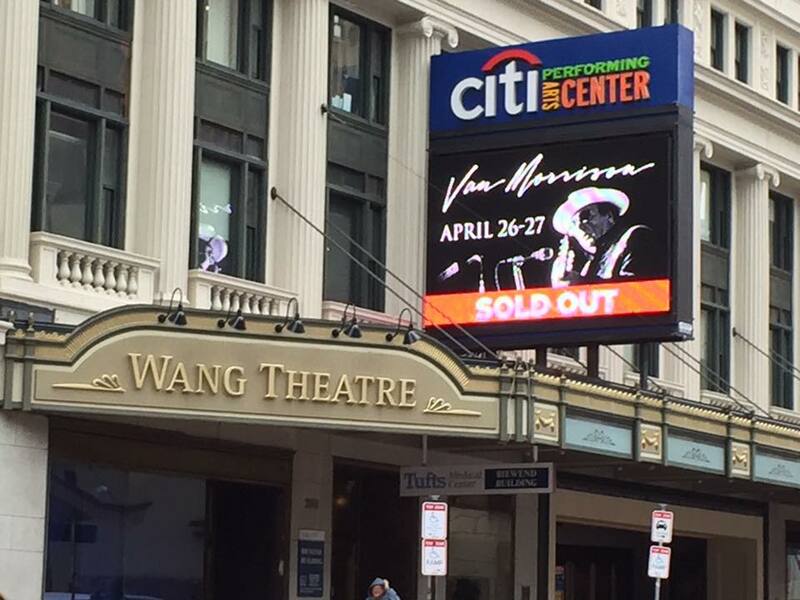 Wang dang doodle – Van’s four-concert April mini-tour, which began with a set at the New Orleans Jazz Fest and then went up to Alpharetta, Georgia, for a show that reeled them in, came to a crackerjack end with two nights at the Wang Theatre in Boston. And I got to go to both. I wouldn’t say that he pulled out all the stops for us, but he pulled us through on a number of them. 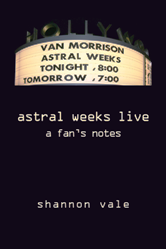 So there I was in my seat on Tuesday night, knowing that Shana was going to open at 7:30; that she was going to have a 20-minute set; and Van was coming on at 8. I was in my seat in plenty of time, having spent the better part of the past three hours at a Boston preshow, so you know that was good. Since moving to the States in 1990, this has been my group – the East Coast fans, and they are the best, the best fans ever. You got to figure I’m in the best of caledonia moods as I sit there waiting for Shana to come out. So I start talking to the two women seated beside me. Van chit-chat. Lovely ladies, who it turns out are at their first Van Morrison concert, crossing something off their bucket list. I have a vision: What if I’d never been to a Van show before: what would I have done with a life that didn’t have his music in it? It’s a scary thought. But I recuperate quickly, and with just the slightest bit of envy, I tell them, “This guy’s amazing; you just wait and see.” What I wouldn’t give to be at my first Van concert again. Shana does a nice job both nights in her opening set. She’s got her East Coast band, the Flying Manatees, on stage with her; and on the first night, Jason Crosby plays keyboards and violin. I give a nod to the first night for the fuller sound with Jason there, but also, it was just the better set in terms of setlist (Van’s “Angeliou”) and getting the crowd pumped for Van. I am reminded as I listen to Shana sing a lovely version of “Angeliou that one of the wonderful aspects of Van’s performance is the dynamics, both within a song and in the concert overall. In any event, a gentle version of the song ends with her singing, “I’ve got a story too … it goes like this … a story that goes something like this … I only wanted to see you laughing in the purple rain …purple rain, purple rain, purple rain, etc., etc.” and the Boston crowd loves it. They are ecstatic by the time Van comes on stage. 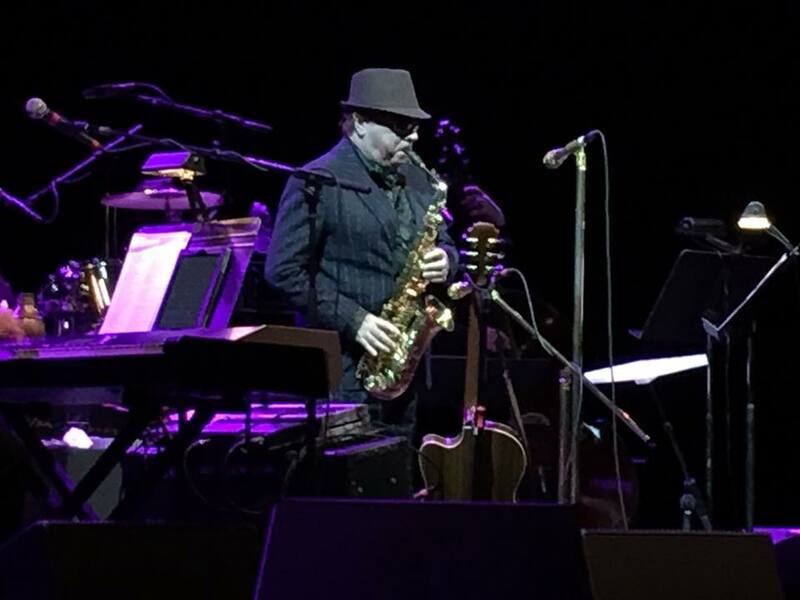 He walks on with his sax and the crowd erupts to its feet; but it’s business as usual as Van does his solo on “Celtic Swing.” And we’re into the standard opening numbers. “Close Enough For Jazz” and “Magic Time” give us a chance to listen to how good the band is and appreciate Van’s sax playing, which sounds great tonight. But more on that later. There’s nothing like hearing a song for the first time live, and so it is with “By His Grace,” with a “keep on keeping on” ending. We get it both nights. On the second night, we also get a very nice rendition of “Symphony Sid,” and by this time in the set, along with songs like “Born To Sing,” “Carrying A Torch,” “Wild Night,” and the list goes on, that Van is very comfortable as the band leader of this very tightly kept band. It sounds great, it sounds rehearsed. You can’t have it all. Anorak alert: I am told that Van played a few bars of “Celtic Excavation” as the intro to “Into The Mystic.” But don’t go by me; I totally missed it. “As we sailed into the mystic …” and we were into, you know, the mystic. The Boston crowd loved this one too. I had a random thought that maybe after the Cyprus Avenue shows when a number of fans noted with chagrin that Van hadn’t played “Cyprus Avenue” for them, as a marketing plan, he decides from here on out that he will play a “local” song – “Jambayala” in New Orleans, “Georgia On My Mind” in Alpharetta, and “Into The Mystic” for Boston. Should I be looking for a West Virginia show so I can hear “Shenandoah”? The other thought I had was that the “standards” (pretty much all the songs that don’t have any of those >>> things in them), besides having a really polished feel to them, sounded upbeat, some of them pop, some of them jazz, and all sounding a lot like the studio cuts. I like the sound, and I recognize the change from the recent past, where the interpretations of his classics were slow and and dirge-like to my ears. If the set is going to be, like it was the first night, three-quarters full of standards, starring band leader Van with his orchestra, then let there be light and joy. If you only got to go to one of the shows, Wednesday night was the one to go to. 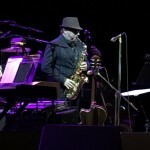 But if you had only gone to that one, you’d have missed the first night: the better “Game” with a Van sax solo, a bit of lingering on the “make it real” bridge, and THIS IS IT! which has been my IT since I first heard him do it in Belfast in 2012. I lead a charmed life. And the theatrics of “Parchman Farm.” I like Van’s version of this, and because I don’t go to all that many shows, I don’t get to hear it often enough not to appreciate the nuances of the night’s performance. Tonight he introduces it with “I wonder why I didn’t write this song; it’s by Mose Allison,” and he has the best time with it. And Shana’s duet with Van on “That Old Black Magic” got her vamping a bit, which was good all around, and I daresay she made some new fans in Boston. But in a way, the highlight for me on night one was “Enlightenment.” In recent times, this is one of those songs that has sounded the same at every concert, performed in that dirge-like kind of boring way. If there are throwaways, this is one of them – for me, at least. But tonight, first of all, it’s faster paced, like all the standards. That’s better. It feels like a new old song. But even better, I listen to the words he’s singing, and I swear to god, serious, it feels like I’m hearing the words for the first time. Is this one of those songs that finally speak to you, even though you’ve heard the song a zillion times? [Later, back at home, we put on a couple of versions “Enlightenment,” and I realized that the only reason I thought I was hearing the lyrics for the first time is because I was. Just a little change in the words in one spot gives the song a new spin, at least for me. It’s a small thing, but it’s like a whole new take on the subject, or at least it seems that way to me. This one is really going to be very difficult … America, what do they know? Just like … OK, this one is up (he gives a thumbs up), and that one is down (giving a thumbs down). Just like Donald Trump … [yeas from the audience on the up sign, bigger boos on the down sign]. If you keep going like that, it’s going to be a Clinton, if you keep going like that. Just like Bill Clinton; it doesn’t matter. Bill goes, AAAAAAAA-MEN! Well, that was fun! It’s not the first time he’s given us his thoughts on Bill, but it’s been awhile. “Stormy Monday Blues” is a killer. Chris Farlowe joins Van on stage and Van just takes it to town, through Sonny Boy Williamson II’s “Take Your Hands Out Of My Pocket” and Howlin Wolf’s “Red Rooster” and “Goin’ Down Slow.” Dave Keary’s solo is superb, unfortunately all too short, but it’s all Van scatting, improvising and singing the dirty blues. The band deserves a big hand. I think Van’s got them where he wants them, and I hope he keeps taking it up a notch with them. The band: Dave Keary – guitar; Paul Moran – keyboards and trumpet; Paul Moore – bass; Dana Masters – backup vocals; Bobby Ruggiero – drums. Van is sounding just as superb as ever, his voice in such good form, such control. He gave us a couple of tasty treats over the two nights. It was great to see everyone. What can I say … one more time again. See y’all on the road! 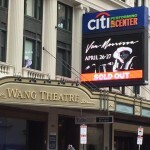 This entry was posted in Music and tagged boston, shana morrison, van morrison on May 1, 2016 by shannon.